You Can Help Provide Clean Water to a Thirsty World. You may already know that clean water is scarce in many parts of the world. But, did you know that every eight seconds a child dies from problems caused by drinking water that is contaminated and unsafe? You have found "A Layman's Guide to Clean Water": An introduction to water, sanitation, and hygiene education, development, and technology in terms that are simple and easy to understand. The inspiration for this website comes from my experiences in Africa and the rainforests of Latin America. As I meet people and visit communities, I have come to realize that access to safe drinking water is an issue in many places. Even in places where it rains every day, the water that people drink can be unsafe and contaminated. This baffled me, and I set out to find answers. I discovered that the clean water shortage is worldwide, and that there are numerous economical, environmental, and cultural reasons for the lack of safe drinking water. Because the problem crosses borders and cultures, the solutions to the problem are many and varied. What works in one place may not work in another. Armed with a general “toolbox” of water development alternatives, it may be possible to determine the technology which would be appropriate in a particular location. "A Layman's Guide to Clean Water" is an introduction to those alternatives. 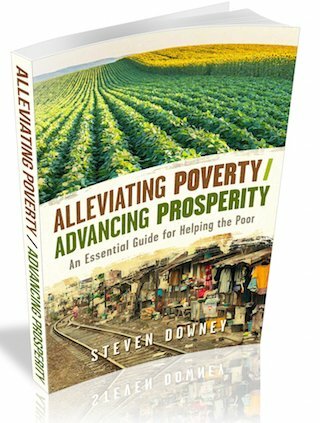 You will find answers to your specific problems, guidance to useful links and organizations, and opportunities to give, to train, and to go where you can be used to solve the problem of a lack of access to clean water. organizations that are actively and successfully implementing life-changing community development programs, providing clean water to people around the world; improving the quality of life and the future of entire nations. Changing the world by providing clean water is not for the lone ranger, or the novice. It involves extensive knowledge of cultures and technology, relationship-building, community transformation, and long-term commitments. Change is never easy, and creating lasting change is even harder. If you desire to move forward and implement the information presented in this website, it is strongly recommended that further details be obtained from a specialist or from the organizations that use these technologies and methods in the field every day. Maybe your dream is like mine; to reach out to the world with your gifts and talents and help others to have a better life and enjoy the health, prosperity, education, and promise of a better future. There are lots of ways you can get involved in helping communities take ownership of their own development and their own futures. You will find help for that as well. Use this website to equip yourself. Glean all the information and guidance you can from it. Contact and hook up with an organization that has a dependable, proven track record. Then...Go! and be a world changer! Knowledge is power. Dig in! Have fun! Make a difference! The Clean Water Blog keeps you up to date with A Layman's Guide to Clean Water and international development news. Pure and clean water is the foundation of all sustainable development that can impact communities for generations to come. 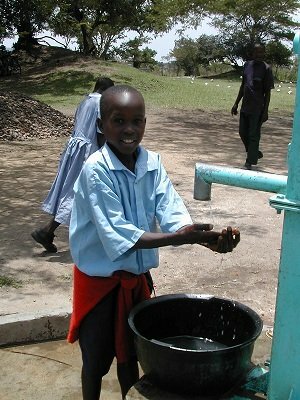 A clean water pump must be a sustainable and durable pump. Clean water technology like ceramic water filters are lightweight, convenient and effective and can be made using locally available materials and labor.